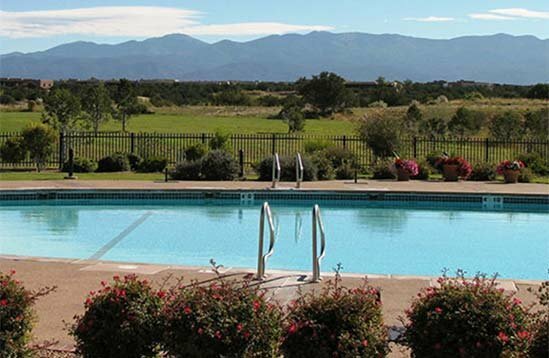 Santa Fe’s reputation for health and wellness is exemplified at the state-of-the-art Fitness, Tennis & Spa Facility at The Club at Las Campanas. With activities ranging from individual workouts, personal training, organized classes, tennis round robins, and swim classes there is something for every activity level. The Spa offers a full range of services including massage, facials, acupuncture, and nail and hair services. The Facility is also a gathering place with comfortable seating areas for members to meet and share the news and thoughts of the day. It is a place of social and healthful activities that is good for soul and spirit.